The Li-Ning PS90 Professional Mens Court Shoe is part of the Li-Ning Professional Series, and has been designed for the pro performer looking for unparalleled performance. Join the ranks of some of the world's best players and dominate the court. Carbon fibre plate, located within the sole unit, adds spring on takeoff, with strength and support on landing. Anti-torque bar adds stability to the foot by decreasing the amount of twist around the bridge of the foot while a high impact cushioned sole is incorporated for increased comfort and protection from impact injuries to the athlete's heel and ball. Reinforced, multilayered mid sole decreases twist and keep the foot inline to keep you on track and focused. 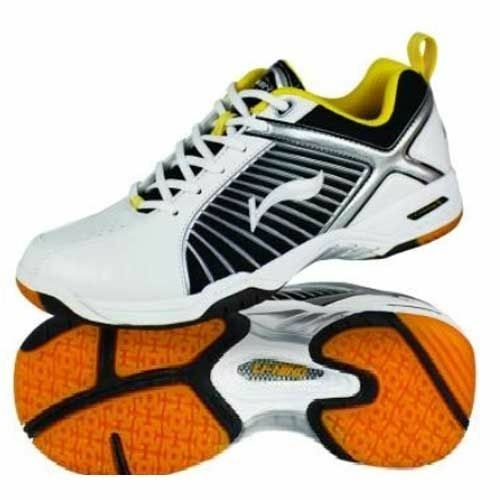 for submitting product review about Li-Ning PS90 Professional Mens Court Shoe.